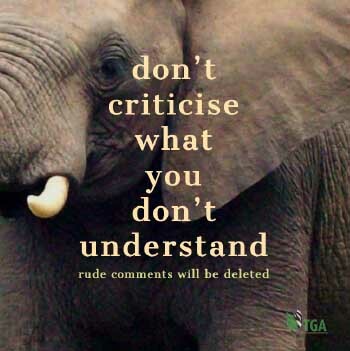 The original information – for my posting of “The Truth about Cecil the Lion” – came from a man called Cliff Tulpa with whom I communicate on an irregular basis. In my dealings with him I have found him to be honest and truthful in all things. He is the producer and host of the American award-winning television series, “Cliffs Wild Outdoor Adventures”. Cliff Tulpa’s source of reference was an article entitled “Scientists disclose Cecil not lured from the park and was in his home range outside the park when hunted”. It was written by John J. Jackson III, Chairman and President of a very reputable and world-renowned organisation called “Conservation Force”. John Jackson is a lawyer and based in the United States. His Cecil article was posted in June 2016. Quote: WILDCRU, The Wildlife Conservation Research Unit based at Oxford University that collared and satellite tracked Cecil, has just published an article revealing that Cecil was not lured out of the Hwange National Park by Dr. Palmer and/or his PH. It also discloses that Cecil was in a core area he occupied outside of the park when hunted. The lion’s home range was far outside of the park. “It was reported (incorrectly) to have been lured by bait out of the park…” The lion was hunted on bait out of the park. 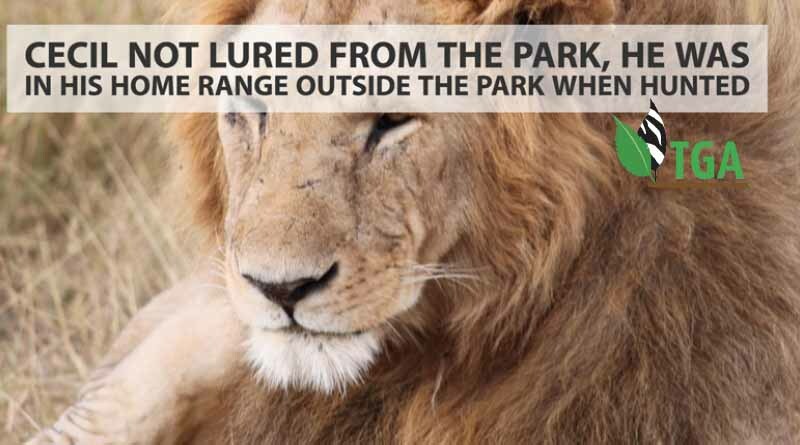 (NOTE) The lion was hunted on a bait (YES), but not lured from the park as some media accounts have implied; the area was part of the lion’s normal range. The ranch where the hunt took place was within the “home range” of the lion during the prior months (April, May, June) until arrowed July 1st at approximately 22:00. The hunt finished “approximately 250 m from where he was initially wounded.” That was 9 am the next morning. The false report that one of Cecil’s cubs had been killed was also alarming. The cub was not likely to have been Cecil’s and still survives today. There was the suggestion by all that the killing of a collared lion was in itself illegal. Not so; most lion taken for over a decade in the area were collared, 45 of the 65. One of the purposes of the collaring research was to determine the causes of the mortality of the pride lion. Editorial and social media both carried the message that lion were in danger of extinction. Not true by any stretch of the imagination. The lion (HUNTING) quota was extremely low, cautionary, and scientifically based. The local communities and hunting operators had been incentivized by the safari hunting revenue to shepherd the lion as potential trophies instead of livestock-eating vermin. Yours truly had made an in-person appeal to the conservancy land owners adjoining the park to take down the livestock fences, eliminate the cattle, and let the lions grow to be more valuable trophies. But for that approach Cecil may have never been born, and surely would not have lived to a scruffy old 13 years of age. Following the suggested changes, the lion population in the park increased from 300-400 to 800 with a growing “resident population” outside of the park boundaries at the time Cecil was taken. May I remind you that John Jackson III is a much respected lawyer; and it would destroy his professional reputation to fabricate anything that could be proved to be untruthful. I must now comment on the YouTube video, made by Brent Staplekamp, that has been introduced as a rebuttal to the TGA standpoint about “the truth” concerning the hunting of Cecil the Lion. That video was released on 1st October 2016 – 16 months after Cecil was hunted. Staplekamp is one of the Oxford University team that is studying the lions of Hwange. He had been following the movements of the lions that he and his team had collared – including Cecil. In the video, Staplekamp points out many irregularities in the Cecil hunt – mostly due to improper or apparently non-existent paperwork. He also alleged – a much more damning accusation – that Cecil’s collar was destroyed several days after the hunt had been concluded – something that cannot be condoned – if it is true. As a consequence of these irregularities, he claims that the hunt had been “illegal”. Therefore, Cecil had been “poached”! These facts cast serious doubt on Staplekamps’ video statements. And one must question why Staplekamp disagreed so vehemently with the report published by his academic superiors in Oxford; and why he took so long (16 months) to make his personal grievances public? If he felt so upset about the irregularities that he cited, why didn’t he go public at the time that Cecil was hunted? Why did he wait until October 1st 2016? What was so special about that date? October 1st 2016 was, in fact, right in the middle of the CITES (Cop17) convention – held in Johannesburg South Africa. He couldn’t have picked a more perspicacious period in which to make his announcement – IF his purpose was to denigrate hunting (which appears to be the case). And it is probably not such a coincidence that the second half of the YouTube release was taken up by Will Travers, President of the Born Free Foundation, who thoroughly denounced lion hunting at CITES. And I am not about to tell you what went through my mind when I started putting two and two together! I fully agree with your comments and ideas. is there any specific reason why my comment on “The Truth Behind Cecil The Lion”, posted on June 14th, at 6:59pm, was not approved? In it, I just included the link of Staplekamp´s lies and nonsense, and commented on why this whole incident is very “smelly” in deed. If it´s because we´re not allowed to include any youtube links or similar things in our comments, it would be good to know, in order not to repeat it again. Apart from that, and as stated before, I fully agree with your criticism towards the whole situation. Staplekamp, Tarvers and co. are just a bunch of liars. 7. What is this Continued.